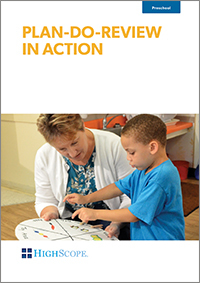 This DVD covers the plan-do-review process in which children make plans, carry them out, and reflect on what they have done. 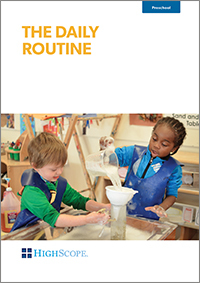 In doing so, they learn to take initiative, solve problems, work with others, and accomplish their goals— making play both fun and intentional. DVD; 40 minutes (2 discs), English and Spanish subtitles, viewer guide included. 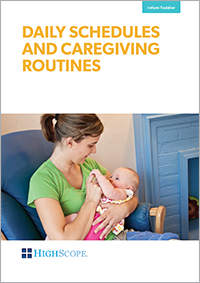 Learn how to create a flexible but consistent daily schedule for infants and toddlers that includes arrivals and departures, group times, feedings and mealtimes, personal care times, and choice time. DVD; 90 minutes; English and Spanish subtitles; viewer guide included.